Yesterday we went into Kaitanen’s area to visit some hills in the non-streamlined area. We aimed for a hill with mast – masts are always a good hint that there is a drive-in to a gate and a path up the hill (until we decide to leave the path to head to interesting spots instead of the mast). We had a nice 4h walk. Luckily all of the area is above the tree line and gives a great view on the tors, hills and plateaus of the area. The area shows an abundance of tors, but also destroyed tors. These and plucked areas gave us the impression that glacial preservation was to a lesser degree than expected. Apart from that, we observed and discussed recent processes like frost shattering and frost sorting. Today we had another drive north, to the Varanger Peninsula, to visit the site of the Neoproterozoic tillites from the other side of the Varanger Fjord. To give one little touristy post, I can report that we found a great little café with a little museum connected to a cultural heritage site, and we got the last waffles of the season there! And great waffles, with cream and jam! We admittedly did not pay too much attention to the values of cultural heritage, as the café was located right upon and beside a great succession with tillites and Cambrian sandstones. The Varanger Peninsula consists of Cambrian cover rocks, with a little Caledonian nappe patch in the NW corner. The burial of the Precambrian basement, the thick Cambrian sediments, the tillite, and the Precambrian basement on the mainland with no Cambrian cover left brings complexity to the great riddle of land uplift, long-term development and the impact of glacial erosion. A lot to think about, a lot to read. 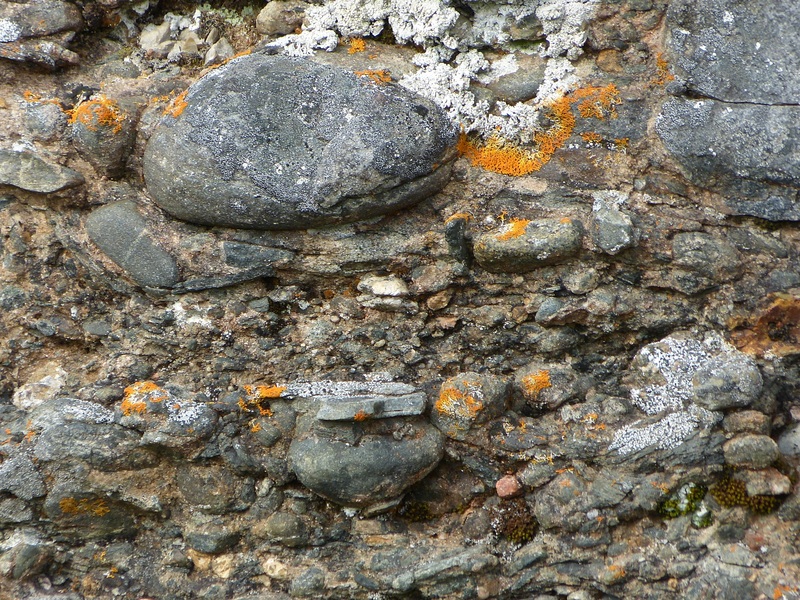 Neighbouring and intermixed landforms as the results of processes of greatly different timescales and duration on the SE coast of the Varanger Peninsula: In the background the succession of Neoproterozoic tilite, smoothened by Quaternary ice movement and corrasion; the circular form represents the present beachline at low tide; the stone line in the foreground is a fossile shoreline, a result of glacio-isostatic land uplift. Yesterday we focused on the central part of our study area, from previous DEM-interpretation identified as a transition zone between weak and strong glacial erosion. The transition is obvious in the field and differs in some factors from the transition zone in Sweden that we have investigated earlier – not least in scale. The Finnish area is vast. We look at landforms, elevation, type of sediments and bedrock type. Again the lack of bedrock outcrops and elevations lower than the tree line makes the gathering of information a challenge but we found a sufficient number of mapping locations to get an overview of the area. 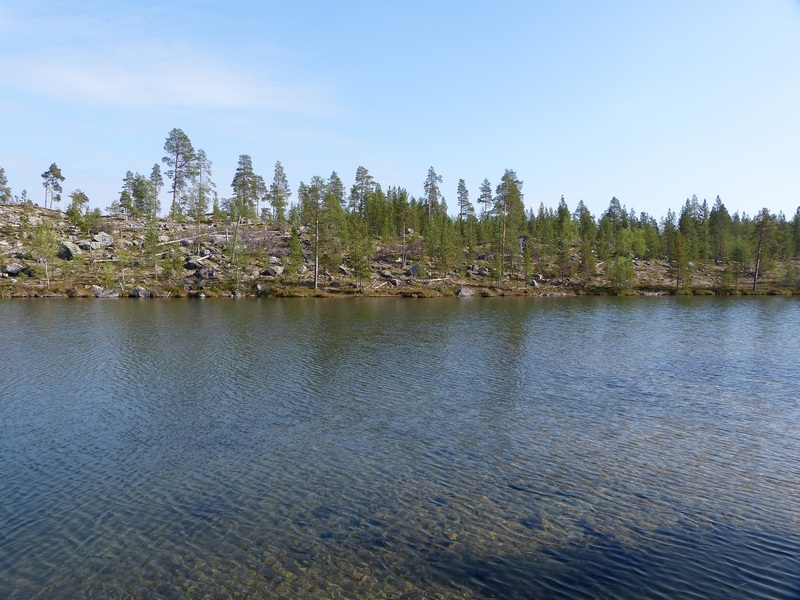 The Inari lake depression is a part of the streamlined area, with elongated glacially modified bedrock ridges along the shore and in the lake (photo). Today the weather was supposed to be bad in the afternoon. So in the morning we took one of the research station’s rowing boats to the other side of the lake to hike up to the highest point on the ridge on the other side. We use the afternoon to gather and discuss our results hitherto and to write this blog. Yesterday we drove from Kilpisjärvi to Kevo, first through the arm of Finland, then through Norway’s Finnmark, and then along the Norwegian-Finnish border river. The drive takes > 7h and therefore gives the possibility for only few stops. The area was completely new for me on the shield, with new observations and many new discussion points. The area shows an abundance of glacifluvial sediments and enormous eskers. Sand dunes in the area are associated to the huge eskers (as we learned of our colleague Jukka from Turku University who is presently here in Kevo). Except for the loose material on the shield, the large-scale bedrock landforms differ from what I have seen before and opened questions about amounts of uplift, erosion and glacio-isostasy, and associated drainage systems, all in connected to Quaternary glacial erosion and glacial sediment distribution. As usual, I will need to look on a digital elevation model and do some GIS-analyses to get a better understanding of this new area. Again, our arrival in Kevo was perfectly organized – thank you to Elina Vainio! In Kevo, we are in the area of our main interest. In the vicinity of Kevo, a glacially streamlined area borders an area with many signs for glacial preservation under cold-based ice. We intend to visit and map both areas for comparison, and for identification of factors responsible for ice erosion behaviour. A large part of the area was already mapped by Kaitanen in 1969 – a result of mapping over 6 field seasons based at Kevo. A visit to a part of his area yesterday showed that Kaitanen’s mapping is excellent and of great help for us, as the area is difficult to access. We started off today by touring the area on its northern part, along the Barents Sea coast. We found indicators for different degrees of glacial erosion, where the higher uplifted parts of the shield were unsurprisingly much more dissected by glaciers than the lower areas. However our most curious observations were in visiting the tillites of the Varangian glaciation, remnants of the global Neoproterozoic ice age ~600 million years ago. These tillites rest on the shield, side by side with Quaternary glacial sediments and raise questions if all glacial landforms on the shield have been formed during the last 2,5 million years or if some of them might be 600 million years older? 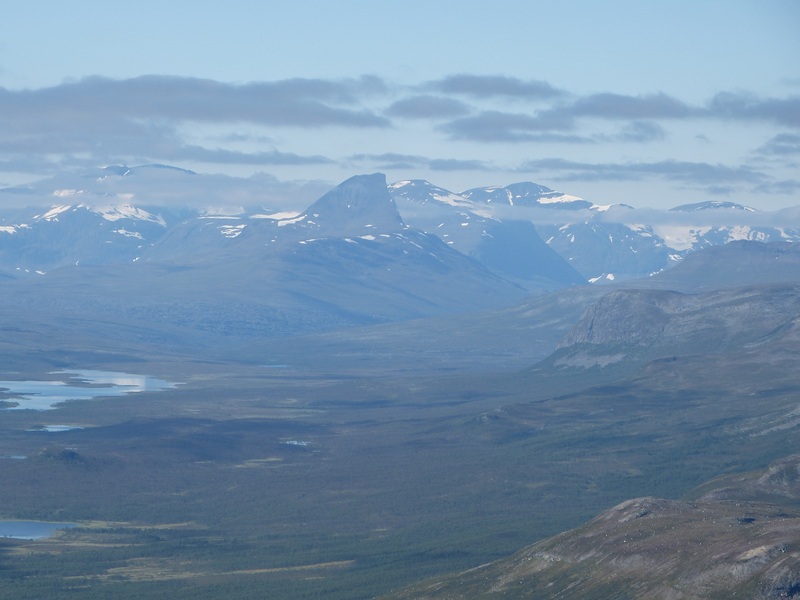 Yesterday we drove from Kolari to Kilpisjärvi along the Finnish-Swedish border. We did a detour to visit two abandoned Uranium mines east of Muonio. 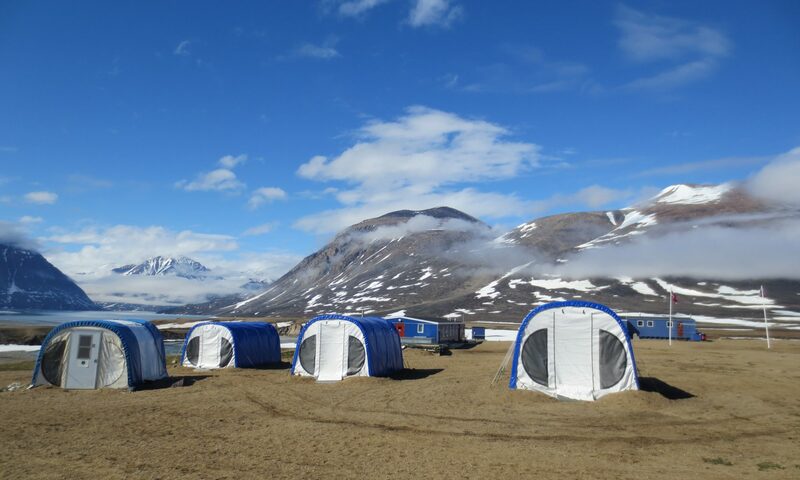 Uranium mines are interesting not only for the bedrock-till contact and the presence or absence of weathering but also for the possibility of dateable supergene minerals, which could give us an idea of the onset of weathering. We took some samples to send to our colleague in Munich. We arrived right in time for dinner at Kilpisjärvi biological research station. Again, everything was greatly organized, with key and instructions in place -thank you to Pirjo Hakala. It is very luxurious to be on field work where breakfast, lunch and dinner are provided. Today our main interest was in the contact of Cambrian Sandstone to the Precambrian basement below and the Caledonian nappes above. We climbed the mountain Saana, right at the edge of the Caledonian nappes. Luckily the weather improved to give us a great view. The contact of nappes, Cambrian and basement was not easy to assess. 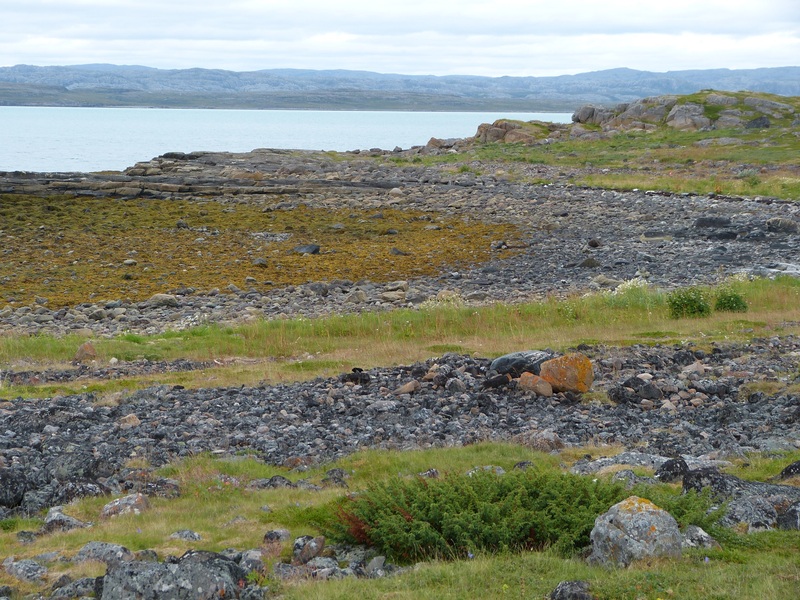 However, the comparison of the area with another area well known to me, at the edge of the Caledonides, W of Nikkaluokta in N Sweden, gave us a picture of the effect of ice erosion in relation to bedrock structure and the pre- and postglacial drainage systems. View from Saana, at the edge of the Caledonides, as the weather improved. Arriving late yesterday at Metla research station in Kolari, everything worked very well with the key in place and clear instructions. Thank you to Mikko Jokinen for organizing this. Today we took the possibility for a visit at Pathavaara gold mine north of Sodankylä. Some hours a drive, but given the distances on these plains, quite close to Kolari. Two mine geologists, Guido and Marie, thankfully took their time today, on a Saturday, to show us around the mine. The possibility to visit mines is great. Working with large-scale geomorphology and the effects of Quaternary glacial erosion always requires the finding of bedrock outcrops (with apologies to ecologists and quaternary geologists – I would really like to scrape of the forest and the sedimentary layers of the shield to be able to see the bedrock surface, and the distribution of weathering remnants. Only for a short period of time, of course..). 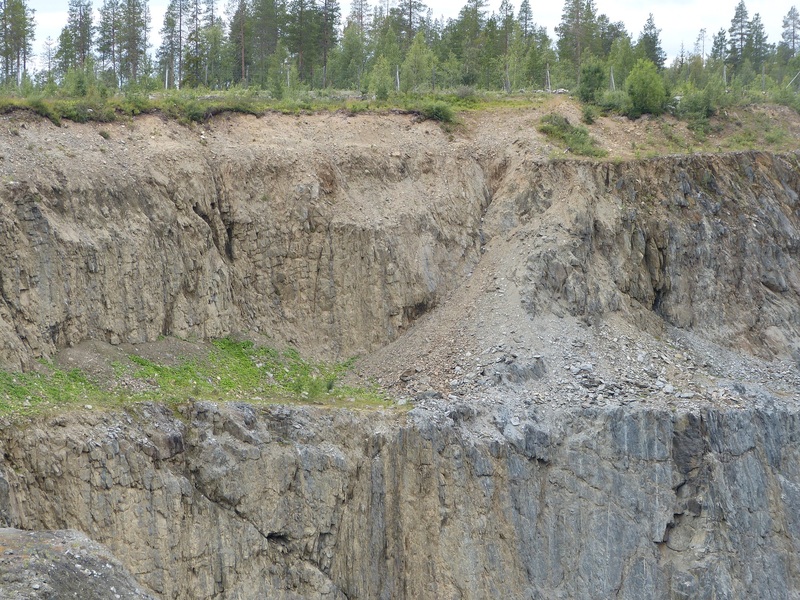 In a mine, we are able to see the bedrock face downwards, and the contact of the till to the bedrock surface (photo). Comparing these observations to the data we already have, this helps us to assess the pattern of the effects of glacial erosion on the shield surface. This was a good first day on the shield. Tomorrow we will drive on to Kilpisjärvi, another interesting area were to Precambrian basement emergences from under the Caledonian nappes.